A lawyer representing ex-Nissan chief Carlos Ghosn on Friday apologised for "tainting" the tycoon's reputation by suggesting he disguise himself as a workman to leave detention on bail. 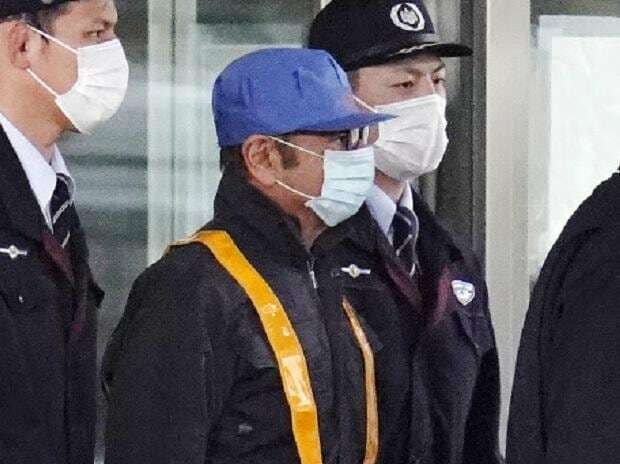 Ghosn sparked confusion and some derision by walking out of a Tokyo jail on Wednesday after more than 100 days in custody, sporting a blue construction worker's jacket, a light blue cap and a facemask. Lawyer Takashi Takano said the bizarre get-up was a bid to protect Ghosn's privacy, and particularly to avoid media tracking him to the residence where he will live while out on bail. But Takano acknowledged the plan backfired, with the world's media instead snapping photos and filming video of Ghosn, transformed from his previously suave executive image. "The disguise was all planned and carried out by me," Takano wrote in a blog article posted Friday. "Due to my amateur plan, the fame he has built over a lifetime was tainted." "I caused tangible and intangible damage to many people. I feel sorry about that," he added. Takano said his only goal had been to prevent the media from locating Ghosn's residence. "Not only would he not be able to have his life back but also his health would be damaged," if the home was located, Takano said. However, Japanese media on Friday filmed Ghosn with his wife and one of his daughters outside his Tokyo residence. Footage aired on television showed the family walking in a park during the afternoon. As they returned several hours later by car, a press pack crowded around Ghosn but he did not make any comment. On the day of his release, Ghosn was widely filmed and photographed in the bizarre disguise, including as he got into a minivan complete with a workman's ladder. Media in helicopters and on motorbikes later tracked the vehicle around Tokyo. Japanese media then devoted news programmes to dissecting Ghosn's disguise, with some stations even dressing up doubles in similar garb to discuss the outfit. His release was the latest twist in a saga that has gripped the business world in Japan and beyond since his November 19 arrest. Ghosn, who faces three charges of financial misconduct, must adhere to strict conditions in addition to the nearly $9 million he paid in bail. He must stay in a residence in Tokyo designated by the court, with a surveillance camera installed at the door. Footage from the camera must be submitted to the court periodically. He can only use a computer at his lawyer's office and will not be able to access the internet. Takano said Ghosn's bail will be canceled if any of the rules are violated and "he would have to return to the tough life in custody.